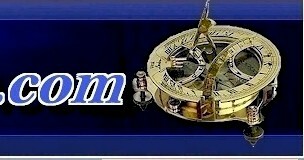 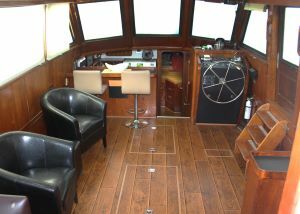 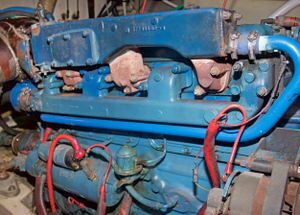 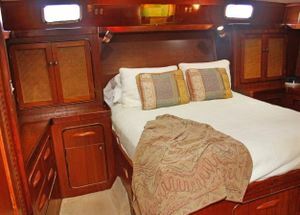 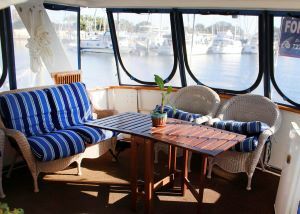 LOA: 44 LWL: 42 Beam: 14'6"
Aft cabin trawler with the galley down. 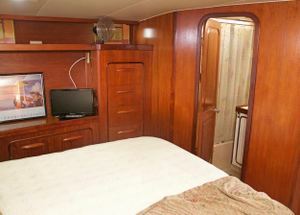 Forward is a v-berth with a head and stall shower. 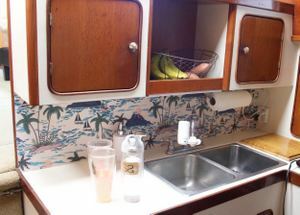 The galley features a large refrigerator , electric stove with oven and plenty of storage. 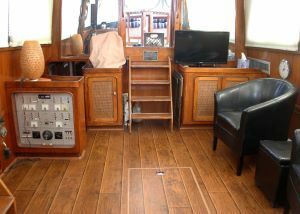 The salon has comfortable furniture with storage space and carpet. 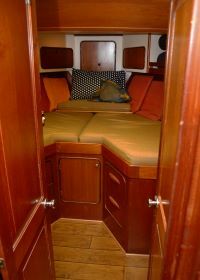 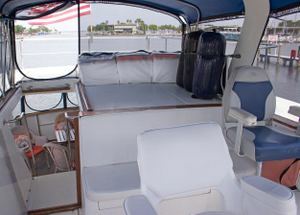 The aft cabin features a centerline queen berth with lots of storage both port and starboard and a spacious head with a stall shower and tub. 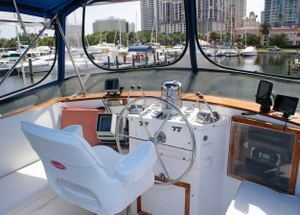 These features make for a wonderful live-aboard and cruising configuration. 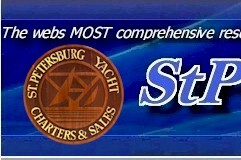 The desirable slip in the St. Petersburg Municipal Marina is transferable.